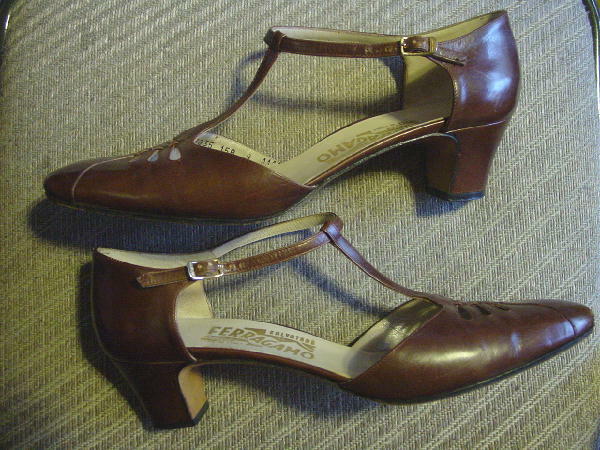 These brown leather vintage ankle T strap shoes were made in Italy by Salvatore Ferragamo. The vamps have a design pattern of six elongated teardrops. They have a dark bone color leather lining and insoles. 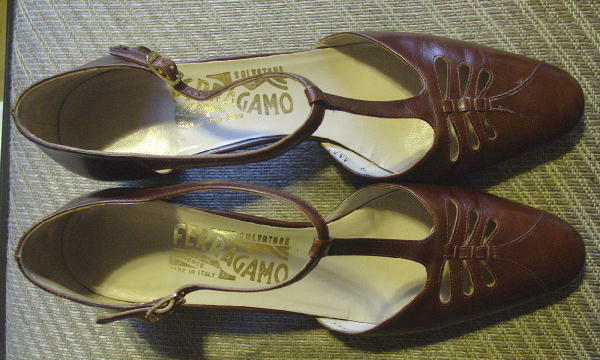 The elongated gold-tone buckle has Ferragamo etched on the front bottom. 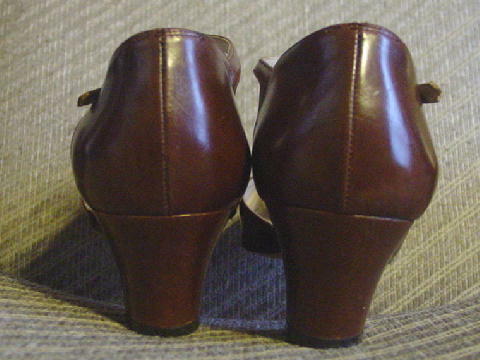 The left shoe has a dark spot on the toe, outer side of the heel, and right shoe inner back side. These are just age spots. Both shoes have scuff marks and the vamps have wrinkles. 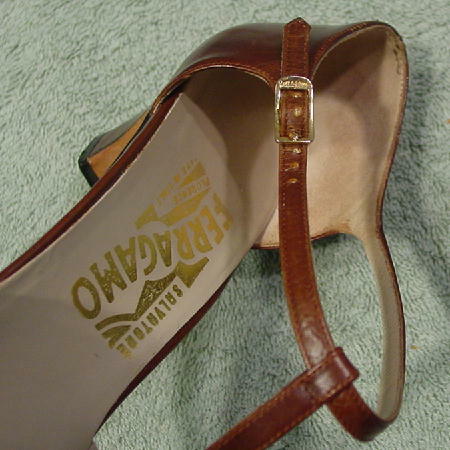 There is a scrape mark on the outer back and side of the left shoe. They're from a former New York model/actress who used to wear them all the time on castings. She hasn't worn them in years.